This week I am sharing my recipe for a spicy sauce that can be served on so many things, you don’t even need pasta! 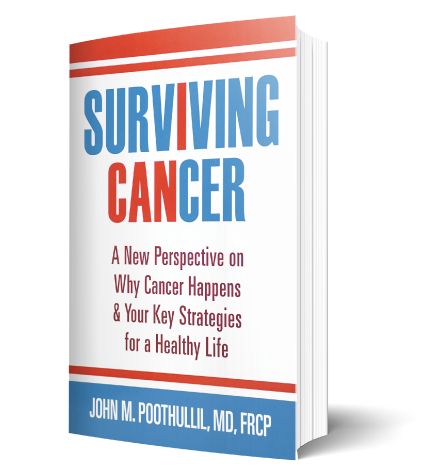 In last week’s blog, Take A Second Look At The New Pasta Study Results. Do Not Be Misled, I asked you to reconsider the findings from a recent study on the effects of eating pasta. 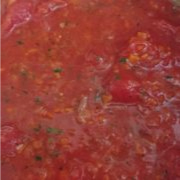 I suggest that you enjoy the pasta sauce, but not on pasta. Try the same recipes but you use steamed vegetables. 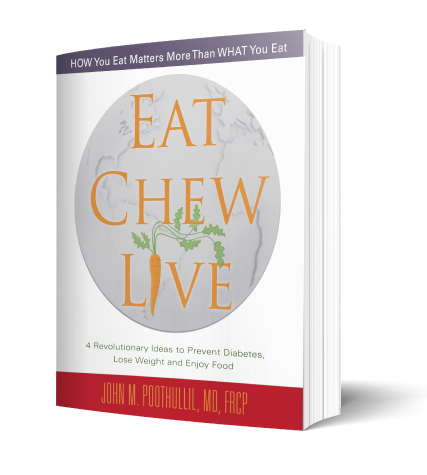 For instance, use spaghetti squash, julienne zucchini and carrots, or cauliflower. 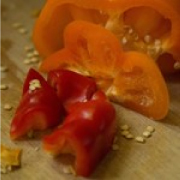 Pasta sauces can even be enjoyed on fresh cut raw vegetables. Of course, you can just put the sauce on meatballs, chicken or other protein-containing foods, too. And today, there are pastas from lentil flour and vegetable flour (though some of these still contain wheat or rice, so be careful). I highly suggest investing in a spiralizer. It is an easy, healthy and fresh way to replace pasta. 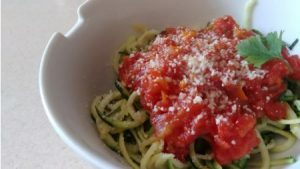 You can turn zucchini, squash, and sweet potato into a delicious and nutritious version of spaghetti. For this recipe I chose to use zucchini. 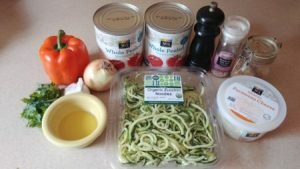 You can find spiralized vegetables in many grocery stores these days, and for ease in this recipe, I bought all the items at Whole Foods. Heat the olive oil in a 5+ qt. pot over medium heat, and add the onion. Bring to a low boil, stirring often. Reduce heat to low and simmer for 30 minutes, stirring often. 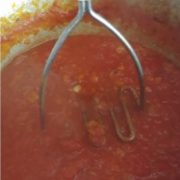 Break up tomatoes using a potato masher. After 30 more minutes of simmering and stirring, cover the pot and keep simmering for another 30 minutes. Add the cheese, stir and simmer for 3 minutes. Steam spiralized zucchini. Pour the sauce over it and serve. 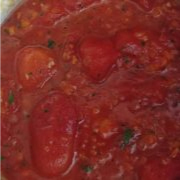 *You may try the sauce on meatballs or fresh cut salad with walnuts. For a sweet sauce, remove the cayenne and add a whole carrot to the sauce when cooking. 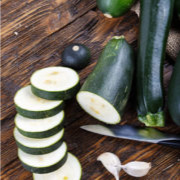 Zucchini has a high content of vitamin C, carbohydrates, protein, and fiber. 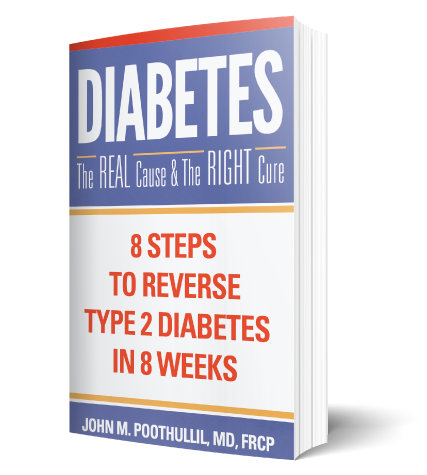 It contains significant quantities of potassium, folate, and vitamin A, and when eaten regularly, it can effectively lower your homocysteine levels. 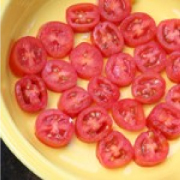 Tomatoes contain vitamin C, molybdenum biotin, vitamin K, copper, potassium, manganese, dietary fiber, vitamin A , vitamin B6, folate, niacin, vitamin E and phosphorus. Peppers have a lot going for them. They’re low in calories and are loaded with good nutrition. All varieties are excellent sources of vitamins A and C, potassium, folic acid, and fiber. 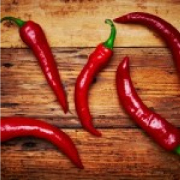 Chilies contain vitamins B and C and dietary minerals potassium, magnesium, and iron.